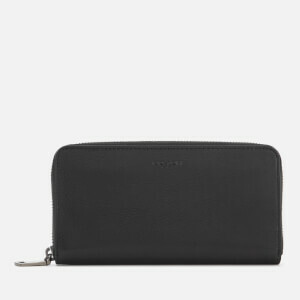 Black croc-embossed leather midi purse from English luxury accessories brand, Aspinal of London. 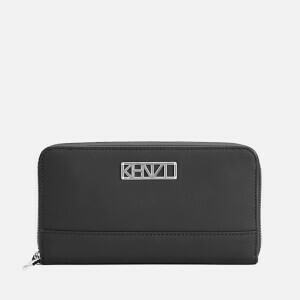 Crafted from high-shine, Italian calf leather, the ‘Continental’ midi wallet is designed with a zip around fastening that opens to reveal ten credit card slots, a note compartment and a zip coin pocket. 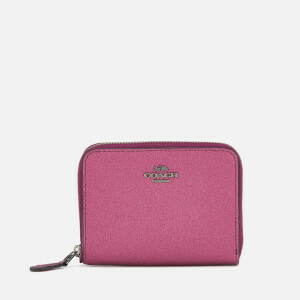 Four additional multi-purpose slip compartments feature inside. Complete with a slip compartment to the back, gold-tone hardware throughout and gold foil branding to the front and inner.